The restaurant at 4949 N. Broadway, which opened in December, serves up Thai street food in a Panda Express-like buffet, but will offer a traditional Lanna Khantoke dinner from 6-9 p.m. Friday. For the event, Suriyawan will be showcasing a dinner from his hometown of Chiang Mai. 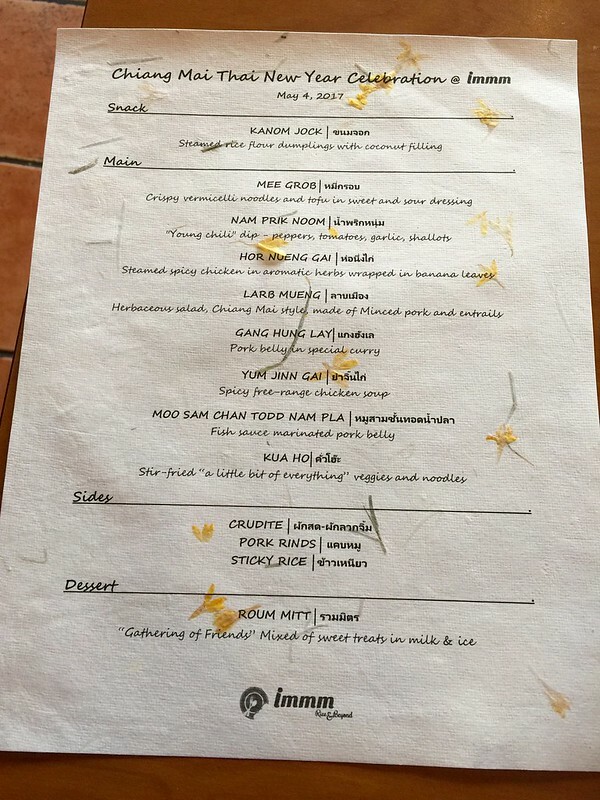 The selection includes an appetizer of prawn crackers with chili jam, eight main dishes, three sides and a dessert of longan rice pudding. Main dishes include mee grob (vermicelli noodles and tofu with sweet and sour), tum kanoon (jackfruit, tomatoes, pork cracklings and shallots), pakkard jore (Chinese spinach and pork ribs in a tamarind soup), nam prik ong (ground pork in tomato sauce), nam prik noom (peppers, tomatoes, garlic and shallots), gaeng hung lay (pork belly in ginger-red curry), gai todd (Thai style fried chicken) and sai oua sausage (lemongrass pork sausage). Wow - can't wait to try that . . . love this place (forgive me for not having posted anything more substantial). BR wrote: Wow - can't wait to try that . . . love this place (forgive me for not having posted anything more substantial). 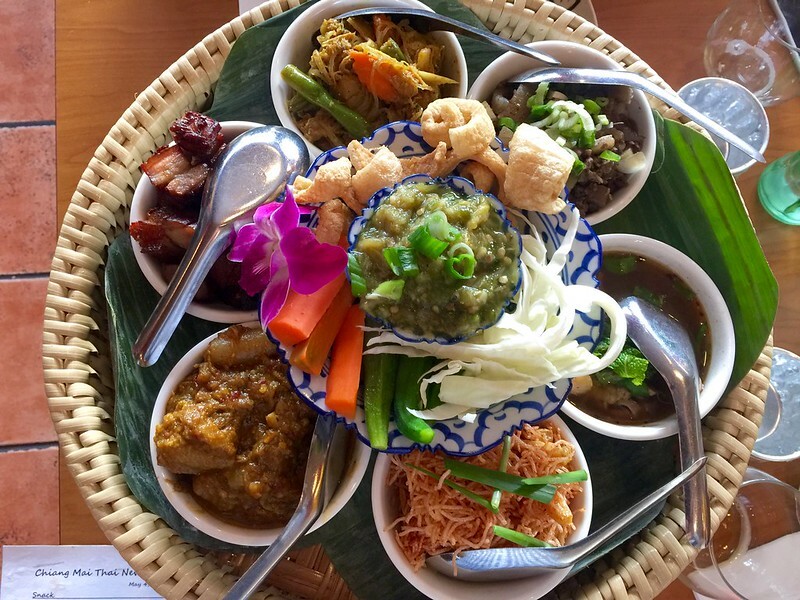 One last chance to buy you tickets to this special Khantoke dinner. Seats are filling up fast and sales close Tuesday at midnight. Petite_gourmande and I are going to the early seating--looking forward to it!! 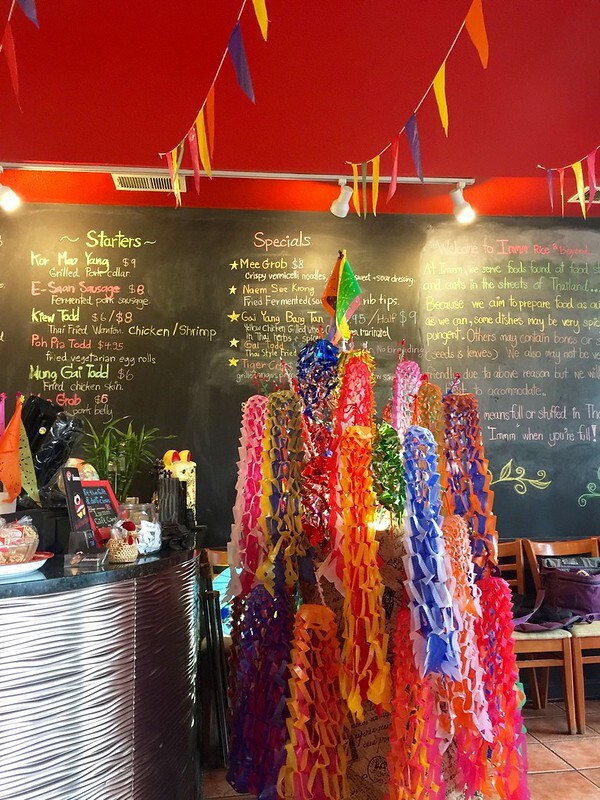 I've been eating at IMMM pretty regularly since I moved to the area, and it is hands-down my favorite Thai food in Chicago. Amongst the regular dishes, the som tum puu pla ra is always a wonderful hit of spice, funk, and freshness, and the gaeng tai pla clears even the worst of Chicago's cold from my bones. The Pad Kra Prao is singing with Holy Basil, just as I remember it from Thailand. What I come back for, though, are the rotating specials. At the moment, the Larb Muang is probably my favorite plate in the city -- deeply offaly, with a peppery spice reminiscent of Sichuan pepper. 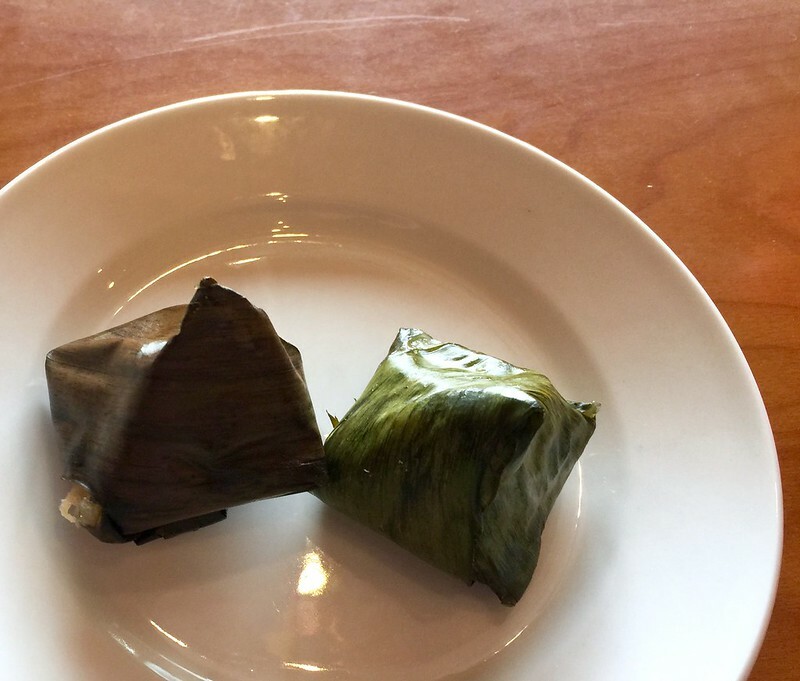 The Southern dishes, when they are on -- other than the ever-present Gaeng Tai Pla -- are definitely worth eating, and I don't know anywhere else in the city you can eat southern Thai food. The Gaeng Kee Lek, with cassia leaves, is wonderful, as is the Kua Kling, the canonical southern Thai dry meat curry, which will leave you singing all the way to the door. I don't know anywhere else in the city that is doing such varied Thai food, and serving so many different regional dishes. Immm is to be treasured! And the Kua Kling is currently on the menu! joshuacraze wrote: The Gaeng Kee Lek, with cassia leaves, is wonderful, as is the Kua Kling, the canonical southern Thai dry meat curry, which will leave you singing all the way to the door. I went this weekend and the Kua Kling was still up. This was my second visit and while I think it was better it still wasn't that impressive considering the other options in Chicago. I also like that they seem to have adopted standard restaurant ordering. As for the food. The Kua Kling was nice with a strong ginger note and a flavor profile I wouldn't consider part of my Thai lexicon. They make a pretty good som tum here, no complaints on that front. Finally we tried the fermented fish gut curry, which was kind of one-dimensional for me. It certainly didn't stand up to the similar curry I had at In-on-Thai. Also all of the dishes seemed slightly oversalted even when eaten with rice. Immm has become one of my very favorite Thai restaurants in town, due in no small part due to its uniqueness. There's just nothing else like it in Chicago. So while I can occasionally find items here that are better prepared elsewhere, that does not diminish my love for Immm and its always changing menu one bit. The other night I was lucky to attend Immm's Songkran Thai new year dinner. It was fantastic. One was savory, with a coconut and (pork or chicken I believe) filling; the other sweet with peanuts I think. Both were fantastic. In the middle of the platter, nam phrik noom with assorted crudités. Clockwise from the top, there was khua ho, which is a noodle dish mixed with leftovers from . . . everything really. Next, larb muang (pork and offal). Then, yum jin gai (chicken soup). At around 6:00, there's mi krop. Then, gaeng hung leh (a curry with pork belly), and moo sam chan tod nam pla (crispy pork belly in fish sauce). Not shown were the sticky rice and hor nueng gai (steamed chicken & aromatic herbs wrapped in banana leaf). The gaeng hung leh was my favorite of the above and about as good a version as I've had. Beautifully rendered pork belly, and plenty of richness and sour. This is my personal favorite curry and I'd say Immm knocked it out of the park. This curry is very difficult to find in Chicago as most places don't offer it (and I find Sticky Rice's version terribly inconsistent). I also loved the crispy pork belly - crisp, sweet and sour, a little bit like the crispy pork and Chinese broccoli dish you've probably had at Spoon and Rainbow. The mi krop was one of the better versions I've had in town but perhaps a tad sweeter than I'd like (and I like it with pork). The steamed chicken was really funky in a delicious way, but a little went a long way. And the chicken soup was delicious too. The only disappointment for me was the larb. The offal was overcooked and unpleasant and the dish needed more herbs. Overall, I thought they might have also dialed down the heat in a few of the dishes (we added some peppers to heat things up), and perhaps a bit of the funk in the nam phrik noom. One of the owners even asked us if a dish was too spicy, so I could tell they were concerned at least a bit about pleasing the American palate. That being said, still a terrific meal. We finished with some sweet treats in coconut milk, which I enjoyed . 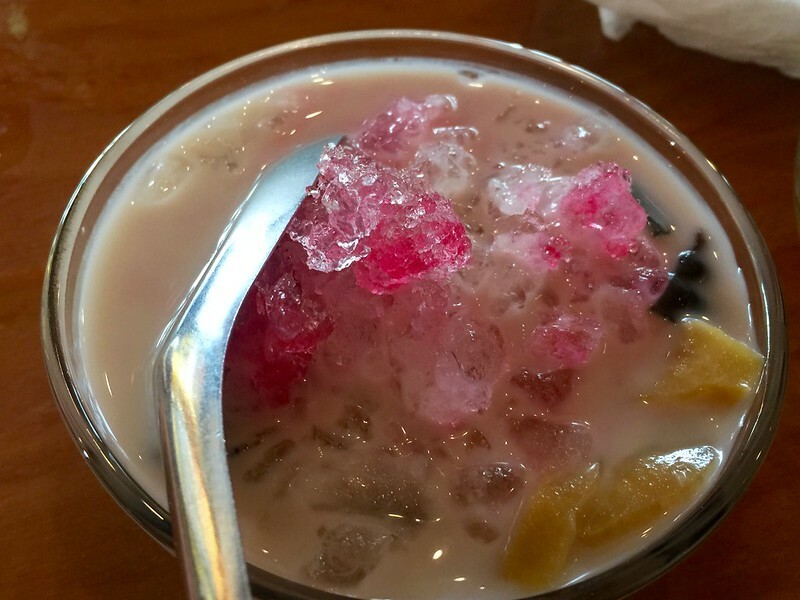 . . as I pretty much love every Thai dessert. Food seemed to be unlimited, as they came by multiple times to see if we needed anything else. And when I told them how much I loved the gaeng hung leh, they were kind enough to bring me a large to-go container filled with it - beyond generous. So as much as I enjoy the food at Immm, I also greatly appreciate the generosity and friendliness of the owners and staff. Finally, I recommend following them on Facebook. They do a very nice job of updating their offerings and also advertise special events, such as this dinner. Despite not attending the New Year's special like BR, I echo the sentiment that Immm has a je ne sais quoi within the abundant northside Thai dining scene. What they lack in pungence and spice compared to Rainbow & Aroy they make up for through a unique conveyance of authenticity and enthusiasm. I too check their facebook page for new specials, and usually pop-in once something new is on the board. Their market share is carved not through competition but rather variation. Besides their best-in-class Khao Soy, nothing I get at Immm is on any other places' menus. They're essentially Rainbow's secret menu circa 2012, 2.0, just not quite as good IMO. If not a GNR formally, they represent what the designation stands for.